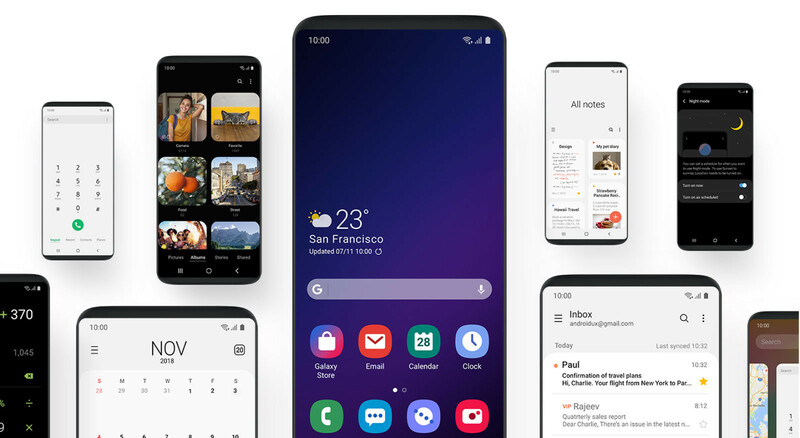 Among the latest announcements Samsung made at its annual developer conference was the official unveiling of its next mobile user interface design. Based on Android 9 Pie, the new One UI replaces the current UI known as the Samsung Experience. Samsung's first generation interface was probably the best known, however, the awfully named TouchWiz. The key theme underlying One UI is that it has been “Made to Focus.” By this, Samsung says that it has concentrated on redesigning the interface to reduce clutter and distractions. This is so that users can better focus on their content and more quickly and easily navigate their device. Samsung, however, didn’t reveal when it will launch its new UI. It is about to launch an open Beta for Android 9 Pie for its latest crop of smartphones in select countries, with a planned early 2019 appearance for the final release. So it could arrive as soon as then, although it is possible Samsung could hold over the new UI until the launch of the Galaxy S10.